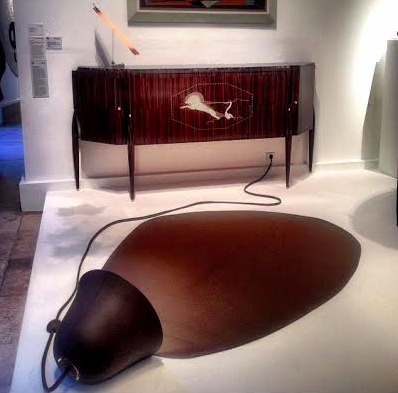 One of the most beautiful small collections of Art Deco furniture in Paris is in the Musée d’Art Moderne de la Ville de Paris – and it is often overlooked or indeed unknown! 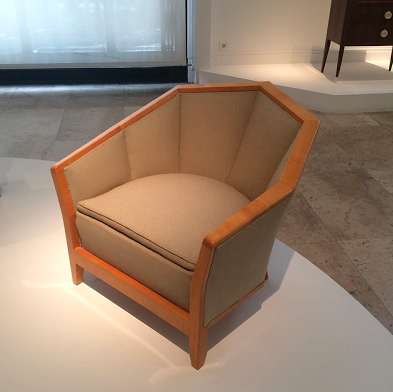 Nestled within this monumental 1930s building (built for the 1937 World’s Fair in Paris), the collection includes pieces by such design legends as Ruhlmann, Printz, Adnet, Arbus, Chareau, Dufet and Dunand. 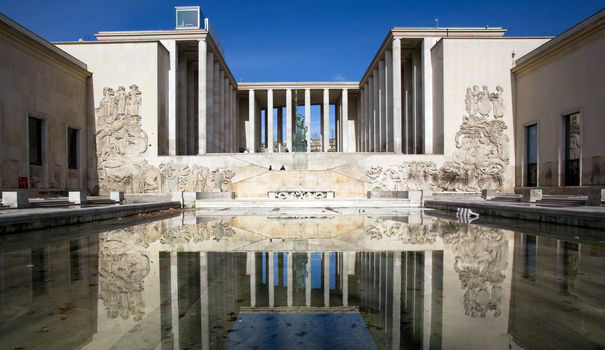 The current museum, owned by the City of Paris and comprising the east wing of the Palais de Tokyo facing the Seine, was opened in 1961 and is predominantly known for its strong collection of 20th century and contemporary art. The Art Deco style emerged and flourished in the 1920s, 1930s and 1940s when rapid industrialization was transforming culture. 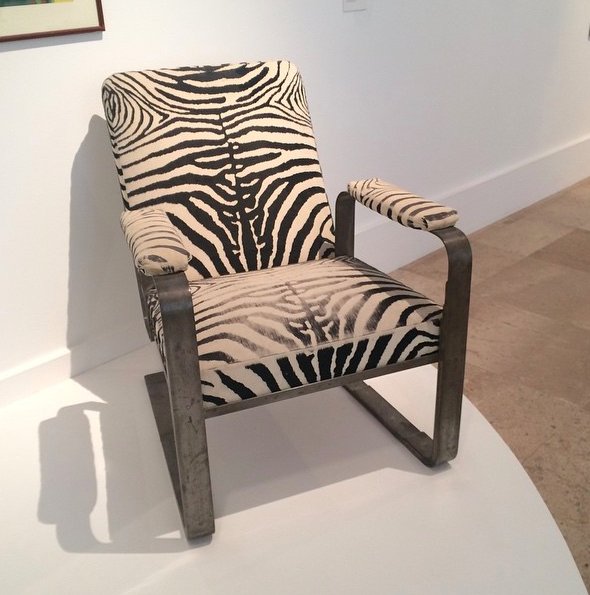 It took its name (short for Arts Decoratifs) from the Exposition Internationale des Arts Decoratifs et Industriels Modernes held in Paris in 1925. 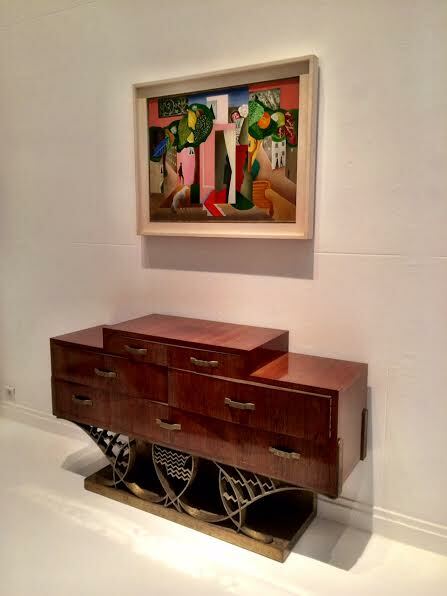 Historian Bevis Hillier defined Art Deco as “an assertively modern style [that] ran to symmetry rather than asymmetry, and to the rectilinear rather than the curvilinear; it responded to the demands of the machine and of new material [and] the requirements of mass production”. 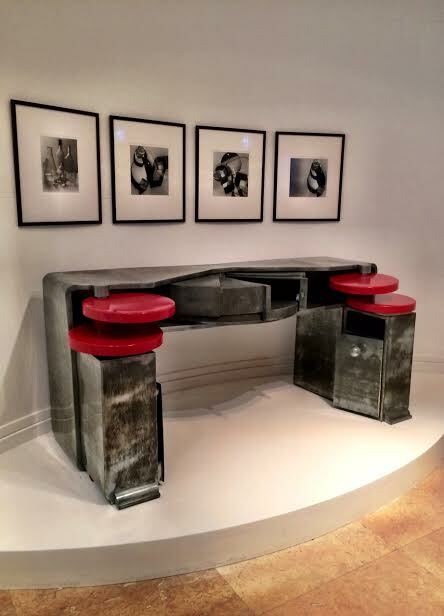 Desk in zinc and red lacquer by Michel Dufet. Made for La Compagnie Royale Asturienne des Mines (1936). Esquisses for ‘Rythme nos 1, 2 & 3’ (1938) in gouache on paper by Robert Delauney. 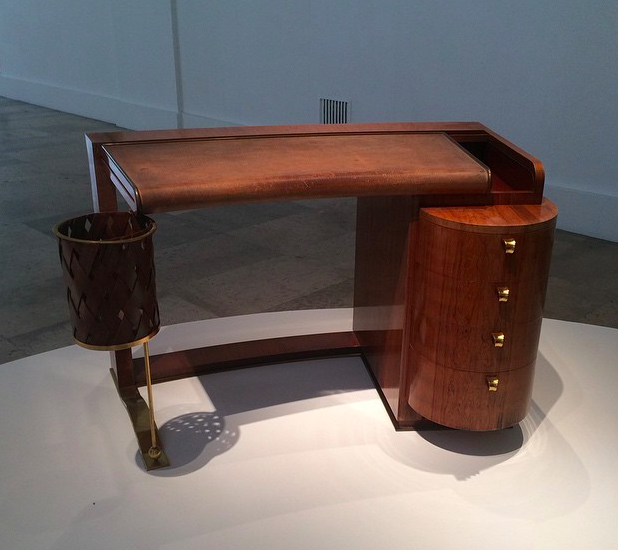 Ladies desk in rosewood (1937) by Albert Gueniot. Look at that great waste paper bin attached to the desk. 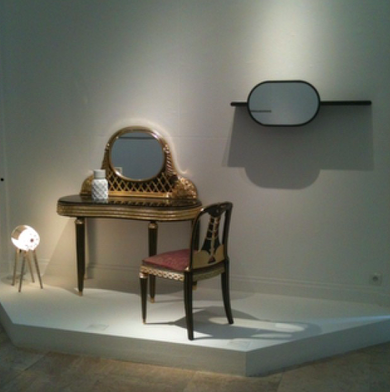 During DDays Paris in 2014 there was an exciting exhibition at the museum pairing contemporary design with Art Deco. 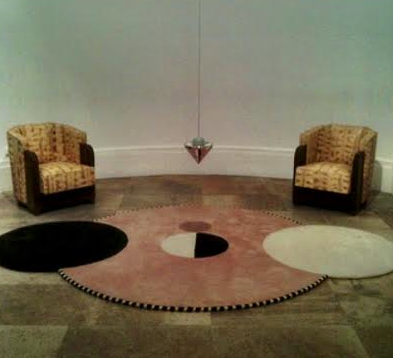 See below a few images from that expo and get inspired!